Varna, Bulgaria - October 15, 2015: Apple Watch Sport 42mm Silver.. Stock Photo, Picture And Royalty Free Image. Image 49200381. 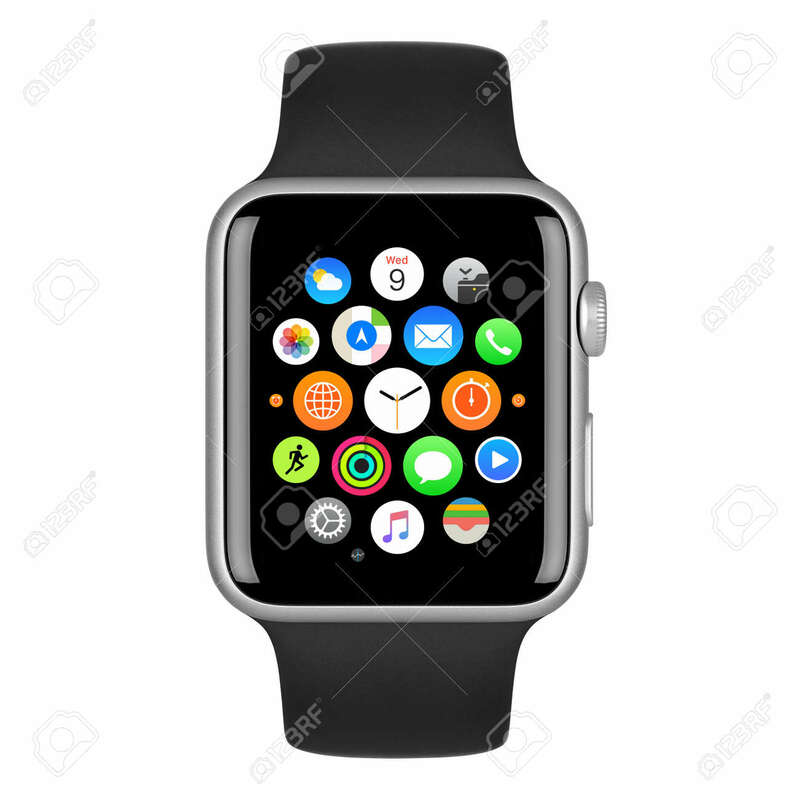 Stock Photo - Varna, Bulgaria - October 15, 2015: Apple Watch Sport 42mm Silver Aluminum Case with Black Sport Band with homescreen on the display. Front view close up studio shot. Isolated on white background. Varna, Bulgaria - October 15, 2015: Apple Watch Sport 42mm Silver Aluminum Case with Black Sport Band with homescreen on the display. Front view close up studio shot. Isolated on white background.